See scan - although clearly used the piece is in good condition with small hole above the portrait. 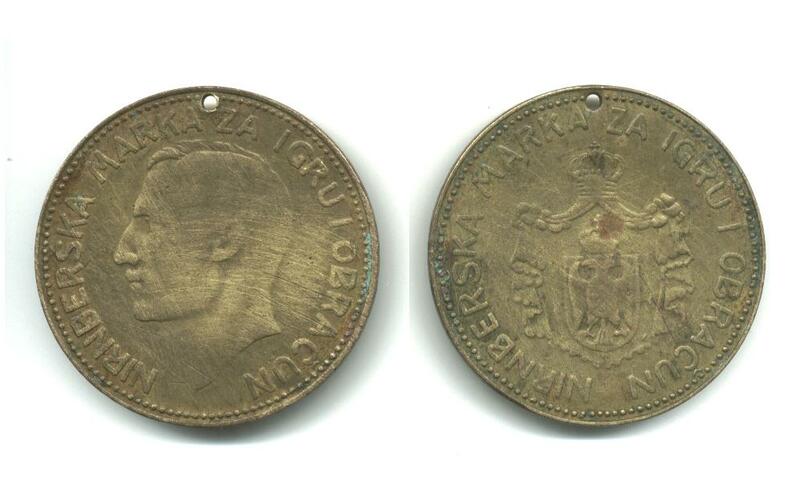 This is a nice and rare Serbian Royal game or gambling medal / jeton coin. Front has the portrait of the King and reverse shows the Royal Coat of Arms / Crest. There is a text saying NIRNBERSKA MARKA ZA IGRU I OBRACUN. First time we see this one. Nice and very interesting collector piece and one of the nice Serbian medals / jetons.